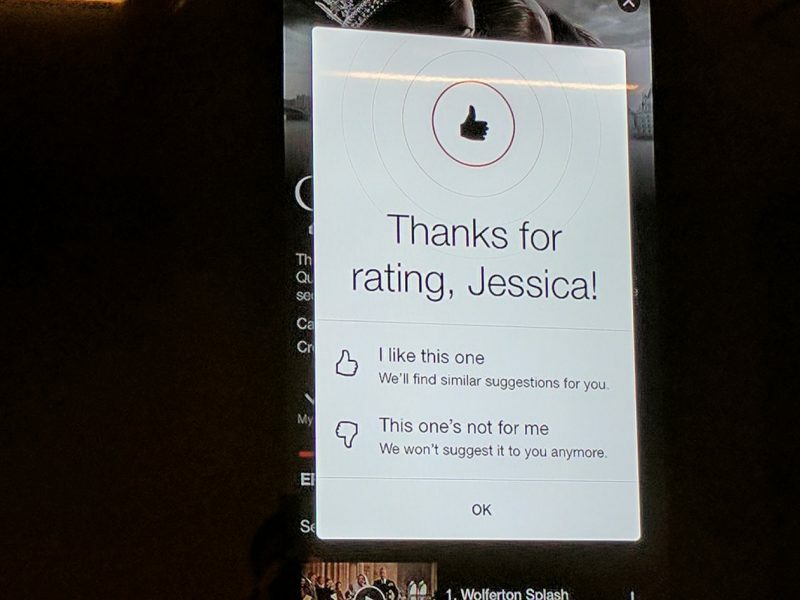 Netflix announced yesterday that it will replace star-based user reviews in its content library with binary thumbs up and thumbs down ratings over the coming weeks. Previous star ratings given by users will be used to personalize their Netflix profiles, but the ability to rate a TV series or movie by awarding stars is set to disappear altogether, according to Variety. Netflix VP of Product Todd Yellin told journalists on Thursday during a press briefing at the company’s headquarters in Los Gatos, Calif., that the company had tested the new thumbs up and down ratings with hundred of thousands of members in 2016. "We are addicted to the methodology of A/B testing," Yellin said. The result was that thumbs got 200% more ratings than the traditional star-rating feature. According to Netflix, at one point subscribers had awarded over 10 billion 5-star ratings and more than half of all members had rated more than 50 titles. However, the company eventually concluded that star ratings had become less relevant, with some users giving documentaries 5 stars and silly movies just 3 stars, even though they would watch the silly movies more often than the highly rated documentaries. "We made ratings less important because the implicit signal of your behavior is more important," Yellin told journalists. In addition to the binary rating scheme, Netflix is also bringing a new percent-match feature to its interface that shows how good a match any given show or movie is for an individual subscriber. If a movie or TV show fits very closely with a user's taste, it may get a high percentage match, although shows with less than a 50 percent match won't show a match rating. Netflix said the changes will roll out globally within the next month or so. Great, another avenue for displaying what's most popular, rather than what's best. That's the key reason a ****** comedy would be viewed more than an award winning documentary and yet receive less stars. It's really not that hard to figure out. Thanks for rating Netflix, Smacrumon! Makes sense. Most people don't bother to think about what star rating a piece of content really deserves anyway. I only ever check star ratings on rotten tomatoes, where you get insightful write-ups too. Most people actually do know how to offer an opinion on a scale of 1-5, 1 being very poor, 5 being very great. People know exactly how to use star ratings. Star ratings are nuanced whether or not it is accompanied with write ups. Well, that clears up a lot of questions I've had over the years. Thank you for that. Is Amy schummer that sour about her comedy special? I got to use this quote. "We made ratings less important because the implicit signal of your behavior is more important," Yellin told journalists." And yet my recommended for you category continues to have many one and one and a half star movies. If you've determined it would be one star for me why are you recommending it to me? Previous star ratings given by users will be used to personalize their Netflix profiles, but the ability to rate a TV series or movie by awarding stars is set to disappear altogether, according to Variety ('http://variety.com/2017/digital/news/netflix-thumbs-vs-stars-1202010492/'). I used ⭐️ ⭐️ ⭐️ ⭐️ ⭐️ ratings for my own purposes, so I could go back later and decide which movies I wanted to watch again. I never rated anything for Netflix's benefit, because their recommendation system has always been nothing short of horrible anyway. What I'll do instead is not rate anything. Good going, Einsteins! Sheesh!